I was in acute distress. Dr. Cotter saw me promptly and provided immediate relief. His care was skillful, kind and considerate. I had cataract surgery with excellent results. I was able to fly to Florida for a stay of two weeks with no problems with my eyes. I would highly recommend Dr. Montesanti. He is an excellent surgeon and a very pleasant man. I was, also, very pleased with his staff and facilities. I have referred a good friend to Dr. Montesanti for her next eye care visit. Dear Opticians at Elmwood office optical, just a note of thanks for all your attention to my glasses! These new glasses are just fine and I appreciate the time you put into my fitting. It gives me great pleasure to write this letter in regards to the wonderful care that I received from Eye Care & Vision Associates. Each time that I visit, I feel comfort in knowing that I am going to receive the best care possible. The preparation and the actual surgery of having cataracts removed from both my eyes were both painless and successful. My vision has never been better. I was treating from the beginning of the process until the end with the utmost professionalism that I could imagine. I appreciate every person that played a part in my eye care and I can't say enough about Xenia. Xenia went above and beyond the call of duty. If I had to describe in a few words how I feel about Eye Care and Vision Associates, it would be "I am well pleased". Thank you for all for caring! Yes! I certainly wish to thank you! Being over the hill, you are skeptical with all the new advances in medicine. After first meeting with nurses and Dr. Cotter, I walked away knowing these people knew what they were doing, plus they knew what was to be looking forward to. Everything looks great! I have recently undergone surgery for the removal of cataracts and implantation of multi-focal lenses. The whole process - initial consultation, surgery and, finally, to post op checkups - has been very thorough and well thought out. The package of printed information that I was given has been invaluable, especially the eye drops schedule, which can be quite complicated. 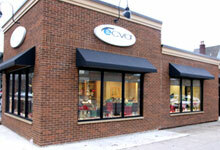 All the staff at ECVA Elmwood have been friendly and efficient. My special thanks to Dr. Cotter (consultant and surgeon) and Xenia Chu (surgery scheduler) for their kindness and willingness to answer all my questions. 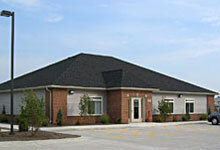 I am very pleased to detail my excellent experience with Dr. Cotter and his incredible staff. I came into Dr. Cotter's office blind in my right eye and scared to death. Dr. Cotter and his staff took me immediately without question or hesitation. Upon Dr. Cotter's exam he saw a detached retina, with multiple tears and acted quickly to advise his staff to contact retina specialists and get me in to see one of the surgeons that morning. Dr. Cotter's staff acted immediately and got me an appointment with the surgeon in one hour, showing me just how well respected and well connected they are in the eye care community. My first of four surgeries began within two days of Dr. Cotter's exam and diagnosis. After two retina surgeries, I was referred back to Dr. Cotter and his staff to be evaluated for cataract surgery by my doctor at Retina Consultants. Dr. Cotter and Xenia, his surgical coordinator, promptly got everything in order and scheduled me for my first cataract surgery, then the second two weeks later. Al the while coordinating with the retina office for a procedure to be performed by them during the second cataract surgery. Once again I was duly impressed by how well the two offices coordinated with each other, making my experience an excellent one - free of any delays or problems, thanks to highly-professional staff at ECVA. After both my surgeries, I now have 20/20 vision in my left eye and 20/30 vision in my right eye. Please keep in mind I began this process blind in the right eye. There are no words to thank Dr. Cotter and his staff enough for all they have done for me. I can confidently and vehemently recommend Dr. Cotter and ECVA to all persons with serious optical issues like me or those who are just looking for excellent eye care. Three years ago, due to a cataract in my right eye, I thought my competitive shooting career was over. Not only could I not read an eye chart, I couldn't see the wall the eye chart was on! Dr. Pfohl worked his magic on that eye and gave me back 20/20 uncorrected vision. That year and the next I was able to make the U.S. sporting clays All American Team, and in 2012, I made Team USA. At the world championships that year, I was part of the Super Veteran gold medal winning team. I could not be more pleased with the results of my surgery. I had cataract surgery in December 2012. Tecnis Multifocal lenses were placed in both eyes. My life has been changed dramatically. For the first time in years, I can see at all distances without the use of glasses or contact lenses. Having worn glasses for 45 years and contacts for 25 years, the visual freedom was amazing. I still reach for my contact lens products each morning and evening since I was so dependent on them before surgery. I cannot say enough for the Tecnis Multifocal lenses and ECVA's Dr. Holmwood who suggested they would be a good fit for me and my lifestyle. I feel like a kid again. It's wonderful being able to go out with friends and be the only one able to see the menu without reading glasses. For some people, cost may be a concern with these lenses. Just think how much you will spend buying glasses using the traditional implantable lens. From my perspective, this surgery is PRICELESS! If you are a candidate for these lenses, make the choice - you won't regret it. What a joy it is to wake up every morning and see each day clearly with what I refer to as my 'new bionic eyes". I just want to take a moment to thank Dr. Holmwood and his staff for the excellent care that I experienced during my recent cataract surgery. I was very impressed with everyone in your office... from your receptionists, office personnel, and medical technicians... to your doctors, surgeons, and the surgical staff at the Buffalo Ambulatory Surgery Center. I have known that I had cataracts for several years, but they were not bothersome enough to require surgery. Finally when I decided to have my surgery, I could not believe what a difference it made. Whites are white, colors are more vibrant, and my vision has improved to where I no longer have to depend on glasses anymore, for distance or for reading. For your patients who have been putting if off for one reason or another. I have one thing to say... just do it! They will be glad they did. I would like to share my experience with ECVA eye care professionals and the results from my multifocal IOLS implants. First, this is the best eyesight I have enjoyed in more than 40 years. The multifocal implant procedure is less than seven minutes per eye, and recovery time for me was less than 24 hours. I worked a half day, went for my procedure that afternoon and went back to work the next morning. I played a round of golf the very next day after work. This procedure has changed my life for the better. I no longer require corrective lenses to see distance or bifocals to read and watch TV. I just renewed my driver's license and the eye test was no problem. After reading the chart, the examiner looked at me and said, "Do you have contact lenses in?" I just smiled and said, "No". Life is just more enjoyable without looking for your glasses every time you want to do a simple task. I personally have recommended the procedure to my friends. My eyesight is better now than it was when I was 20 years old. There are a few things you need to be aware of: because the procedure for each eye is two weeks apart, there is a period your eyesight is good in one eye and the other still needs correction. I solved this by taking the lens out of one side of my bifocals for that period. This may not be the best solution for everyone. For distance I was able to adapt to the good eye for the transition period. The night vision halos around bright lights have been the number one disadvantage to the procedure in my experience. The intensity of the halo has greatly diminished for me over time. The advantage of great overall eyesight and quality of life certainly outweighs any inconvenience with halos that I have encountered. I would like to thank Dr. Paul C. Holmwood and the entire staff at ECVA for the great professional service I received. 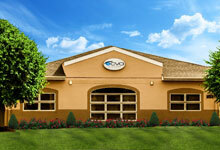 I highly recommend you consider ECVA's professional staff for cataract surgery or any other eye care needs. I give ECVA **** (four stars)! When they say they give "total eye care" and employ "caring professionals", they MEAN it! Dr. Holmwood removed my cataracts and inserted Toric lenses. He followed my progress until I was 100% satisfied. "No patch" cataract surgery was fast and painless. I needed additional Lasik surgery to give me total satisfaction and vision. Lasik surgery was performed by Dr. Montesanti at no additional cost to me. I would highly recommend these two fine, caring professionals and expert eye surgeons. In addition to these two fine doctors, I was most impressed by their caring staff. Wow! "I can see clearly now!" Thank you Dr. Paul Holmwood for performing my two multi-focal lens surgeries this past December. Because of your professionalism and wonderful bedside manner, I felt very confident in your hands. 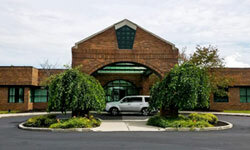 Your staff both in the Orchard Park office (kudos to Donna) and during my surgery were all so courteous. Not to mention that they all were so patient and spent a lot of time answering all of my questions. Questions they must have heard over and over again. The benefit of having at least 20/20 vision and of not wearing glasses is indescribable. How vivid my world is now! I'm an architect, a visually oriented person and have been a patient of ECVA for over 20 years. They have been regularly examining my eyes and prescribing eye glasses for my nearsightedness over that time. Recently I'd noticed that my visual world had needed more light and that driving at night was getting more difficult because of the large halos around street lights and headlights. Dr. Holmwood indicated that it was now time to consider cataract surgery. He explained the process and the number of operations he had done. He had operated on my wife's eyes several years earlier. Although I had confidence in his ability, there was still some fear. What if something went wrong or it was painful? It didn’t and it wasn’t! I can now see distant objects without glasses better than I ever could with glasses. Driving without glasses is now normal, day or night. All the benefits fog contact lenses without the disadvantages. Paul Holmwood, M.D., has provided me with the most useful medical service of my life. I had cataract surgery and he placed Toric lenses in both eyes, which in turn felt like a miracle after wearing contacts and glasses for over 40 years. My vision is crisp and clear and beyond any expectation I had. The improvement was immediate and wonderful. I was hesitant at first, but this turned out so well that I highly recommend the lens placement. This was the best thing I've ever done for myself. I feel blessed and am very grateful. There was absolutely no pain, so my fears were unfounded. This procedure is, in my view, a terrific way to give yourself a bright, new life. His staff is professional and highly effective. I recommend him and his staff to everyone! A new world of color and improved vision was recently awarded to me by the implantation of a Toric lens, thereby improving my “life after 80.” My wife had a Toric lens implant recently and because she was so pleased and happy about the outcome, she inspired me to have the same surgery. My astigmatism, over a period of time, had become problematic, but because my father became blind, I was apprehensive to have anyone operate on my eyes. However, my decision to have the correction has now made our life so much more enjoyable! We are both grateful to Dr. Paul Holmwood as well as to the individuals who were involved with the invention and manufacturing of the "First Star" Toric lens. I would like to thank Dr. Cotter and all the staff of ECVA for the care given to me by everyone I met. I had cataract surgery and multi-focal lens implants done and am really pleased with the results. Everyone was pleasant and considerable time was spent explaining everything to me. I also appreciate the promptness of all my scheduled appointments, with little waiting to be taken care of. I would also like to mention the care at Buffalo Ambulatory Surgery Center, where the surgery was done. Again, everyone was nice; the care was excellent. All together, while any surgery is of concern, I found this one to be as good an experience as I could have wished for. Thanks to all. I have been a patient for 2 or 4 years at ECVA and Dr. Montesanti. The experience has been exceptional. The nurses that prep you for the doctor have always been great. They explain all the procedures so nothing is unexpected. The appointments have been on time and the doctor usually comes in, in a timely fashion. 2016 I had cataract surgery in both eyes and the experience was wonderful. My vision has improved greatly. All necessary prep work was fully explained. If you follow your instructions the procedure before surgery was well prepared for. The surgery was a breeze. No complications and all went well. I highly recommend ECVA to anyone who needs a referral. Thank you to all nursing and doctors who walked me through this experience. I'm writing to thank Dr. Montesanti and his wonderful team for the care given to me. Your fine-line incision for the lid & brow lift surgery is cosmetically pleasing. Besides this I am able to enjoy reading again!